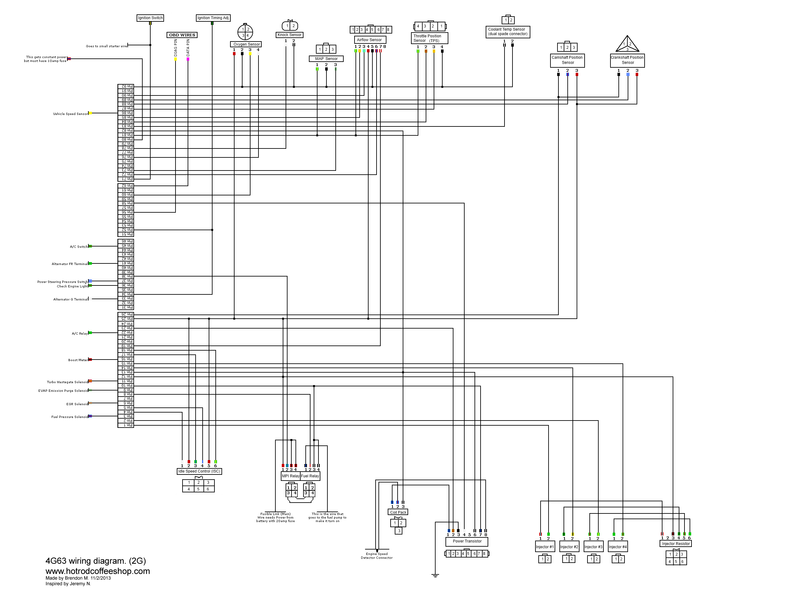 Re: Anybody like 4G63 wiring diagrams as much as I do? pretty nice breakdown. 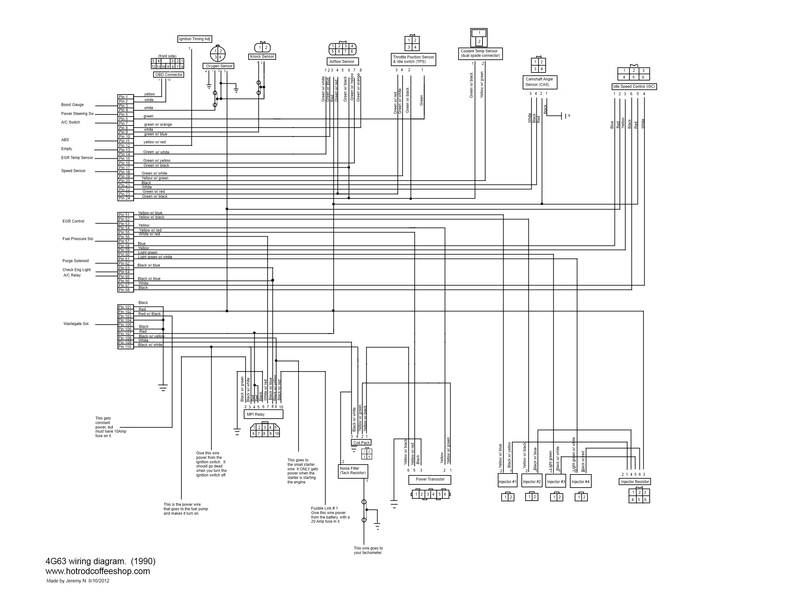 I still love the OEM diagrams as I have studied them for years. This does look nice and easier to follow though. Might be useful in the info section. Yes, the OEM ones are absolutely great as long as you are already familiar with automotive schematics. Over time, I found that most people doing 4G63 swaps could get the job done mechanically but not electrically. That was always the reason the projects were never finished. When it came down to wiring the MPI relay specifically, everybody got lost, gave up, and parted their project out. I was hoping that these would help! i used that thing to do the wiring in my wagon, i remember finding some issues with it, minor, but i dont remember what they were and it's been so long since i did the wiring. SUPER helpful regardless! Have you had to lengthen/shorten knock and/or o2 sensors on any of your builds? How did you handle the shielding? That diagram will help many folks! I found this online googling in the past. great diagrams, this will help with a turbo 2.4 gen 1 Montero. Once I have all the bits this will be a great reference. Joshua - If you can tell me what is wrong with it, I will happily update it. I tried to make it as thorough as I could for 4G63 engine swaps, but it is possible that I could have missed something! Toybreaker - I have shortened knock and O2 wires before but it is a nightmare because of the sheathing that surrounds it. I prefer to leave them alone, and just separate them to be their own "run" away from the ECU. Then you just tie up the extra under the dash or whatever and its less work and looks just as clean. The toughest part of any 4G63 wiring clean up is starting with a harness that has a good CAS, knock, injector(s), and coolant temp sensor connectors. At least one is broken 99% of the time, it's wacky. I got lucky then, because I got 89coltgt's modified harness from is g63 ram 50 swap lol. The real challenge for me is not the engine harness, but actually retrofitting the entire GVR4 Chassis harness into my Coupe lol. Got all the plugs identified for the most part at least. ^That will help me though for when I need to wire up the Megasquirt ECU. I was bored the other day and made a video that may be helpful to you guys. It shows how to remove pins from a DSM ECU connector. Very cool, loving the home made tool too. Thanks for taking the time to do this. No problem! I used to build a lot of 4G63 wiring harnesses for swaps, and this pin removal question came up a lot. So I figured I would share it! This is my next big obstacle on my 96 Galant..actually doing the DOHC head swap, but basically need to rewire for a 4G63. Mechanically I am confident but I was never confident in doing electrical work or even diagnosis, I manage but no where a pro at it. How much different are the wiring diagrams for a 95+ 7bolt 4g6x motor? Nice, the cutaway will help a lot of people see what is going on there. Have you tried the pico tools for this stuff? Pico made some knockoffs of several Delphi tools, and sell the 3 tools for around $7/set. I haven't checked to see if it'd work in this application, but I bet one of them would. 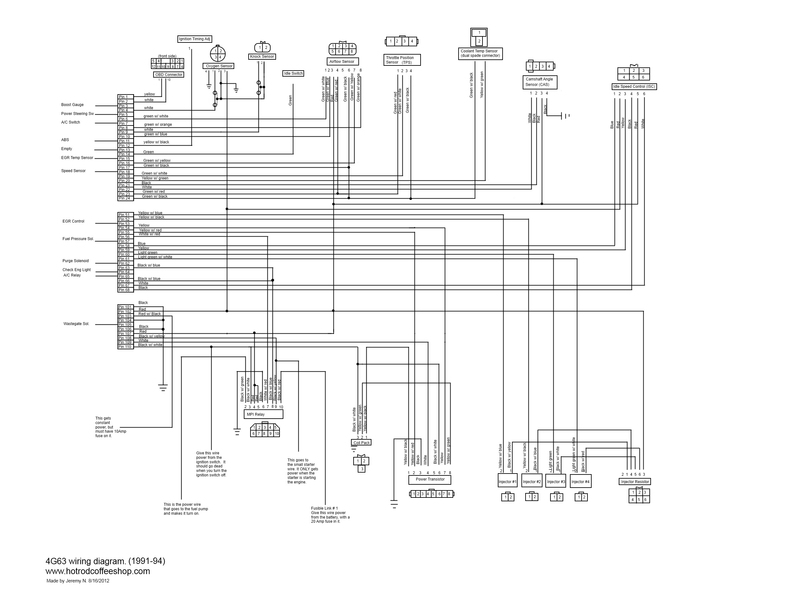 I do a lot of wiring diagrams as well. One little suggestion I'd make on yours, is where you call out the terminal numbering, say whether you are viewing it from the back of the connector, or from the front of the connector. That will sometimes confuse people. The schematics look great though! I haven't tried those pico tools, but now I want to. I may grab a set in the name of science!